We recommend bringing a jacket to all events as the room tends to be cool. If you require ADA assistance due to a disability , please make sure and contact cs@tomferry.com or call 888-866-3377 two weeks prior to the event so our team has enough time to make special arrangements for you in advance. Whether you have a question regarding an event, need assistance, or have a special request, our friendly and highly experienced staff is always ready to assist you with all your questions and concerns. 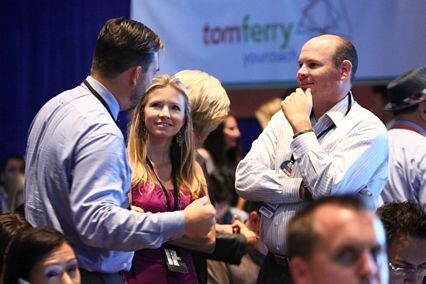 The Tom Ferry – Your Coach Team!